Job Interviews and Planetarium Experience! Wow! Thursday was a very busy day, as students went right from P.E. class to attend the Ameritowne Job Interviews. 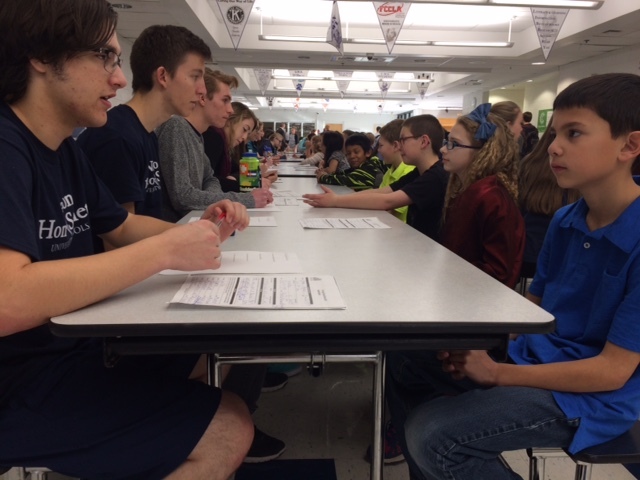 All of the 4th grade students, that’s right, all 117 students were interviewed by a high school student who is a part of National Honor Society. 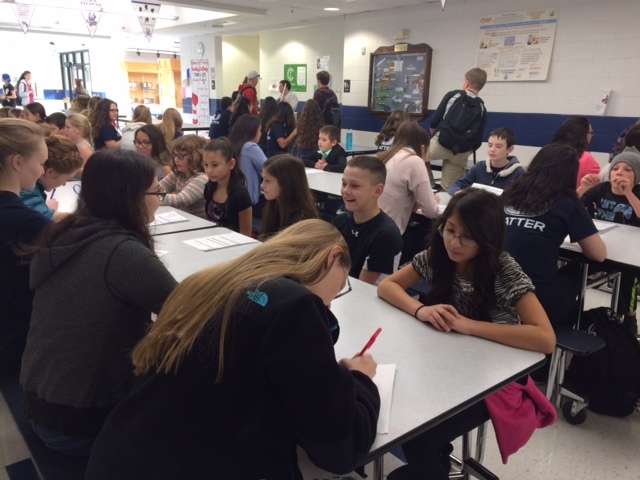 The interviews were a fantastic opportunity for our high school students to take on a leadership role while asking interview questions and considering our young 4th grade students for various employment opportunities at Young Ameritowne. In similar ways, our 4th grade students were also able to practice their communication and critical thinking skills while responding to the interview questions. Next, students transitioned from the professional job interviews to be more casual by removing their shoes. 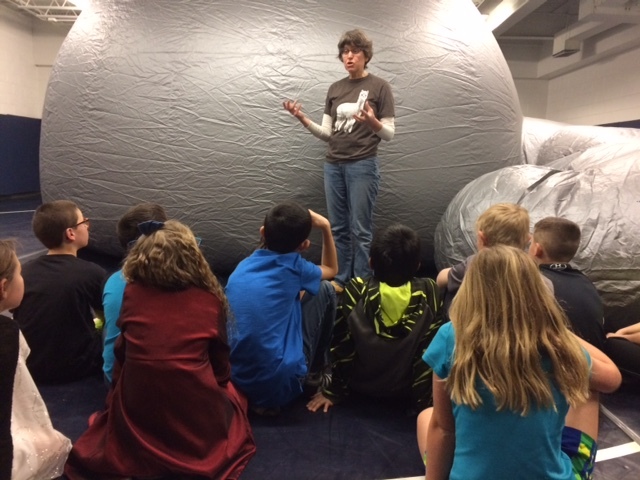 That’s right, our class went directly into the “Mat Room” (typically used for wrestling), but today a large inflatable planetarium had taken over for science learning. Our high school Astronomy teacher Jolene Adams invited our class into the Planetarium Star Lab for some amazing constellation learning. Students were amazed as they looked up at the night sky and considered the countless stars above. Upon exiting the Planetarium Star Lab we put our shoes on and walked down to the school library. 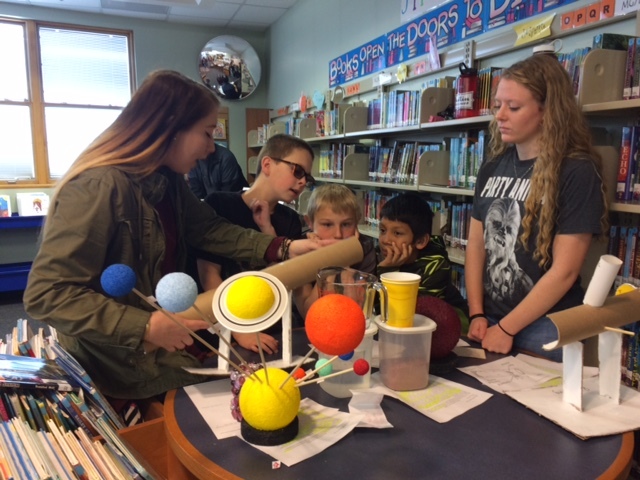 Our school library was transformed into a “Solar System Museum” as high school students currently enrolled in Astronomy had created exhibits (learning games and activities). 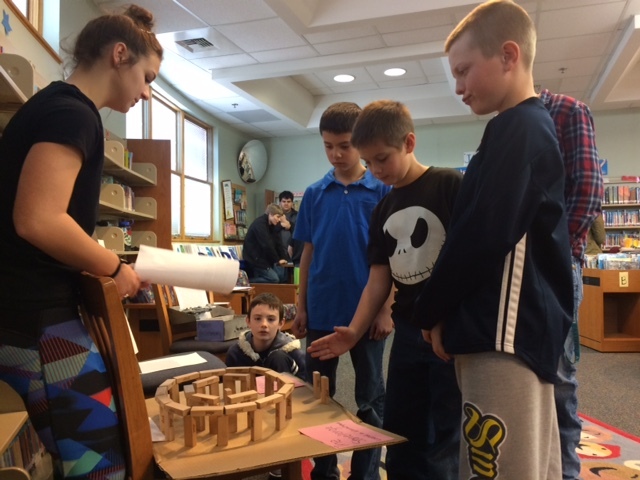 The high school students were amazing as they shared knowledge and engaged our 4th grade students in learning. 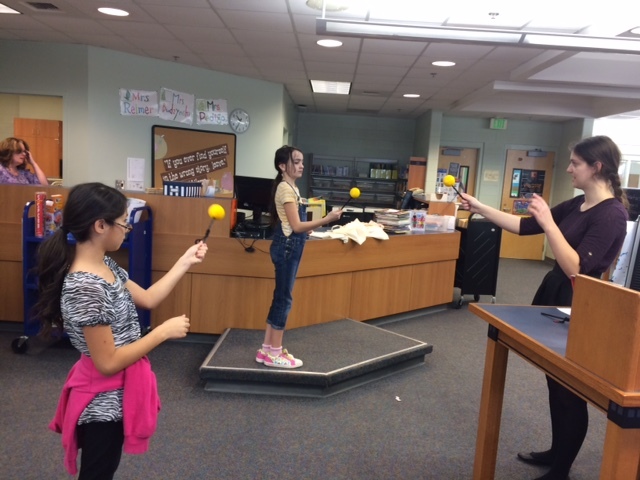 Our 4th grade learners enjoyed a unique hands on experience and now understand more about our vast solar system. This entry was posted in General Information 2016-2017, Science, Social Studies. Bookmark the permalink.